If you’ve noticed a slower blog post schedule recently, it’s because I’ve been helping my girlfriend get set up in St. Louis, MO at her new job. We’ve discovered that owning a car in the Midwest is pretty much a must. Given that I sold my last car on Craigslist to a rapper for top dollar, I lent my expertise to find her a great deal. Here’s how to buy a used car for maximum value. What’s the advertising jingle that you think of when you want to buy a new car? It’s the little Carfox imploring your to say “show me the Carfax.” Getting the vehicle history before you buy a car is an absolute must. However, I would not recommend you go through Carfax because it is much more expensive than their cheaper rival Autocheck. The VIN number is the long series of numbers and digits that is specific to your individual vehicle. It’s typically located on the bottom corner of the windshield on the driver’s side. All you do is type this VIN number into a service like Autocheck.com and you will see if they can find the history. Carfax is $40 for one report, $60 for five reports, and $80 for unlimited reports. Autocheck is $25 for one and $50 for 25 reports. Clearly, Autocheck.com represents the better value since all you need to know is what’s in the vehicle’s history. We looked at three cars seriously. The first two checked out fine. The third had been in an accident, which showed on the vehicle report. We discovered that a guy ran into the back passenger door on a small scooter. This allowed us to get the car for a far better value than we would have had to pay. You want to know the vehicle history to see if there’s anything sketchy. We found one Nissan car whose title was actually owned by an insurance company! Good thing we did not go out to test drive it. We found a local mechanic who agreed to check out the vehicles we considered for $30 each. Honestly, I think we got an incredible deal as he found numerous things to fix with each vehicle. One car only needed a transmission fluid change for $80, and another car needed major rear brake work and would not have passed safety inspection. I’d pay as much as $125 for a thorough inspection of each used vehicle you consider. This money is well worth it. Ask about how much tread the tires have left, how long until the spark plugs need to be changed, and any other major repair costs he expects in the next few months. In areas where they salt roads, make sure there isn’t rust damage underneath the car. Don’t take the car to a place that the seller recommends. Look for another used car dealership and call them to ask about a good mechanic in the area without telling them you’re buying a car. The average family loses thousands of dollars a year in vehicle depreciation. If you buy a car around 5 years old, you will gain incredible value per dollar spent (even though I’d prefer 10 years old and older for max savings). If you have a nice sized retirement account, a manageable mortgage payment, and excess funds, by all means go buy a newer car. However, if you are at all financially strapped, look for a reliable older vehicle. I’ve owned American cars and so has my family. The repair bills and problems have been horrific. Ford is probably an exception to this general rule, but to be safe buy Asian made cars. European brands do not score well for maintenance costs and repairs. The Japanese brands Honda and Toyota command a premium price at this point. However, I think the Korean car companies Kia and Hyundai are the best value for models 2009 and later. For something before 2009, I’d still go with a high mileage Honda or Toyota. Kia just scored highest in initial quality by JD Power, the award that Chevy is always referencing to try to convince you to buy their vehicles. 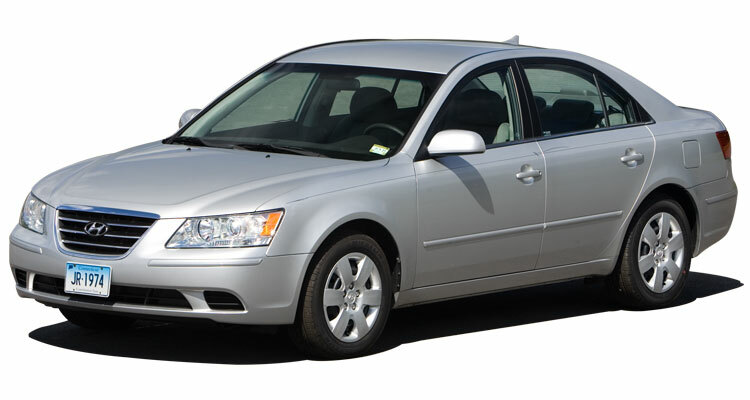 Hyundai is also excellent, and their pre-2009 models are a great alternative to old Honda and Toyota models. Even though some of the best cars today are Kias and Hyundais, the American consumer still has not totally caught on yet so prices are lower for these models. After all, Kias used to be considered junk cars. I have not seen a large number of these vehicles for sale, but in the future as people start to trade up I’d snap up anything Korean made 2009 or later. Consumer Reports typically releases an excellent list of best used cars for under $10,000. I’d suggest checking that out so you’re not just taking my word for it. Car quality has skyrocketed in the US the past several decades. 100,000 miles on a car should no longer be a grave warning to buyers. Well maintained vehicles could make it to 250,000 to 300,000 miles before you have any major engine or transmission replacements. Even so, prices really start to decline after that 100,000 mile mark. For whatever reason, people feel like problems are much more likely at 103,000 miles than 97,000. That means you can get a fantastic deal on a car over 100,000 miles. In fact, I’d highly recommend your next car be a high mileage vehicle, especially if there are records showing the car has been adequately maintained. I would make an exception for this rule for luxury cars and SUV’s. These vehicle types are extraordinarily more expensive to maintain compared to sedans. I would suggest avoiding them at all costs. If you want luxury, go with a Toyota Avalon or something similar. If your state requires a safety and emissions inspection, make sure that the used car you buy will pass one immediately or has already passed. You can do this by taking it to a mechanic and paying him to run a state inspection on that car. If it would pass, then you know you can drive it legally if you buy it. I’ve seen cars that have rust issues or major repairs that would not pass. I learned this only when the mechanic had a thorough look. The last thing you want is a lemon so make sure you spend the money and get the Autocheck for the vehicle history and pay for the mechanic to inspect each car you want to buy. When want to buy a used car for maximum value, you want to see a lot of dents and scratches on the vehicle. The reason is that it will save you a lot of money. A dent or scratch has no impact on the car’s mechanical quality. However, people will pay far less for a car that’s not aesthetically pleasing. One guy that tried to sell his Honda told me he had four young drivers not want to buy the car because of the appearance of the bumper. The two best values I found when used car shopping were Mr. Money Mustache’s favorite car, the ScionXa and the one we went with, the Honda Civic. Both were being offered for incredibly good deals because of the cosmetic damage. You don’t have to know how much a car should sell for. All you need to do is go online to kbb.com and look up the model you want to buy. Type in the mileage and model type and the site will show you the price at a dealer and with a private party. The four prices listed are for that car in “fair, good, very good, and excellent condition.” Most cars fall into the “good” category. I’d suggest offering something between fair and good. If you find a car with scratches and/or dents like I suggested, you might be able to nag a car in “excellent” condition mechanically that’s cosmetically in “fair” condition. I was astounded by how easy it was to negotiate this last car purchase. Sometimes people are tired of receiving texts and calls and just want the process to be over. That’s how we got such a good deal on our Honda Civic. Remember that negotiating is just trying to get a fair deal for both sides, and that your job is to make sure you get the fairest deal possible. Any other tips for how to buy a used car for maximum value? Any horror stories when you shopped for your most recent vehicle or sold one? Comment below! Great tips on buying a used car. Thanks!! I would have saved a metric buttload of money had I taken one of the vans we bought used to a mechanic beforehand. It didn’t last but three months after that. Never even occurred to me that I could ask to do that! I had no idea that cars over 100k miles were a good buy. Like many others, I assumed that they were bad investments. This definitely makes me reconsider. Thanks for sharing! What do you think about buying cars at government auctions as compared to just buying them like on craigslist or from the buyer? I think it’s a higher risk decision. You’re buying something that somebody committed a crime with or they thought so little of it that they just abandoned the vehicle. In my view if you’re a seasoned mechanic then sure, but if you’re a regular average joe you’re rolling the dice. If you get something off craigslist thats newer than 2010 you’re probably 80% sure you’re getting something ok if you check it out at an autoshop before. Great tips! I’ve never thought of how cosmetic damage could save you so much, but that makes a lot of sense! And I agree, finding a trustworthy mechanic that values you as a customer will go a long way during your car’s lifetime. Thanks for sharing! That’s good to know that prices diminish after the 100k mark. I guess that’s because it’s a psychological marker. Used cars also don’t depreciate like new cars; new cars lose a lot of their value just being driven off a lot. Theres some Japanese car dealer sites online that sell quality cars, that are just 2 – 3 years old are in good condition and they go cheaply, you can also consider this as an option!